What is geocaching and how does it work? For millennia, explorers have been searching for treasure, forging paths and traveling across the globe from treacherous peaks to the deepest reaches of the oceans. Today’s treasure seekers have reinvented the pursuit as the perfect hobby for the tech-savvy outdoor enthusiast— geocaching. The geocachers mantra “If you hide, they will come” has inspired hundreds of thousands of people to participate in this global treasure hunt. Geocaching is fun involves one or a group of friends, a hand-held GPS, and some hiking shoes. Geocoins are made for outdoor treasure hunters that would like to stash a custom designed geocoin in a secret cache or would like to find a trackable geocoin. Engraved with trackable numbers and made from metal, these coins are highly collected. 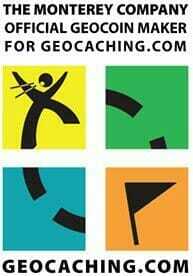 GPS Coordinates are posted on sites like geocaching.com with these hidden locations. In search of hidden treasures, geocachers employ global positioning devices (GPS) in place of their ancestor’s tools, like maps and compasses, to track down caches. Currently, the total estimated active geocaches worldwide is in excess of 900,000. Geocaches are hidden in over 100 countries on all seven continents, including Antarctica. Every cache includes a logbook where messages can be left for future “cachers”. These logbooks enable treasure hunters to catch a glimpse of the history and the visitors that have traveled to a particular location. If you’re looking for custom geocoins, look no further. 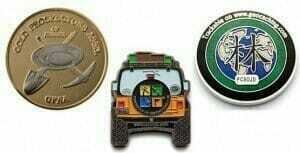 The Monterey Company is an official geocaching geocoin manufacturer for Geocaching.com. We even custom make coins for geocachers with trackable numbers! 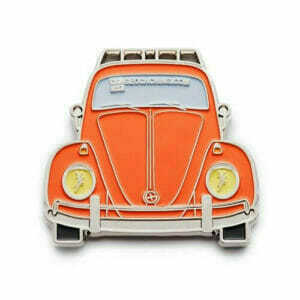 We offer free engraving for orders of 150 pieces or more, however, trackable codes are priced separately. Request a free quote to buy geocoins today or call us to speak with one of our geocache coin experts. 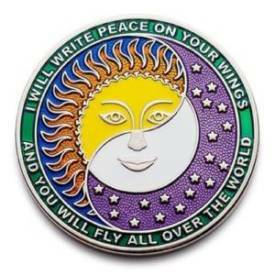 We’ll help you design, create and order custom geocoins and pins. Order Custom Geocoins with Monterey Company? We provide all design and artwork at no charge and we have low minimum quantities for coins and pins; our minimum quantity for trackable codes is 150 pieces. We offer pre-production samples to make sure you’re getting exactly what you want. We also give all of our customers the best quality and the best prices, with fast production speeds, quick shipping times and top-notch customer service. Contact us to get a free quote for custom geocoins, or call us at (877) 290-9290. Many different individuals, groups, and associations use geocaching coins for their treasure hunts. Geocaching enthusiasts, lovers of travel, coin traders and collectors, associations and societies, as well as sporting clubs and athletic groups are just a few of the many organizations that order custom geocoins from us. 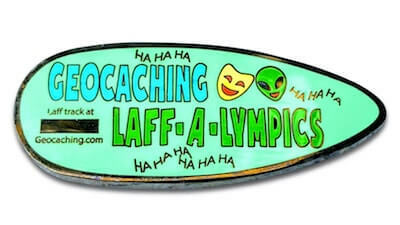 Is There Anything I Need to Include on a Geocaching Coin? Yes, trackable coins need to include the text “Trackable on Geocaching.com” or “Track on Geocaching.com”. Moreover, they need to be family friendly and pass approval by Geocaching.com. Using their logo is not required but if you do use it, you will need to use the registered trademark symbol ®. If you’re planning on creating trackable coins or pins for the purpose of geocaching, we’ll help you through this process so that they’ll be trackable and approved. 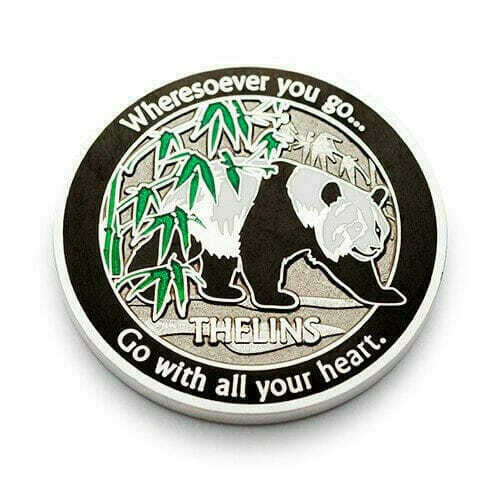 We offer a variety of enamel styles and engraving on all our geocaching coins. Whether you’re looking for a hard enamel coin, soft enamel coin, dual plated coin or a silver or gold coin, we can make it. Because we’re a geocoin manufacturer, we’re able to create almost any type of design that you come up with. Below are a few of our samples so that you can get an idea about the different materials that can be used to make your geocaching geocoins and pins. If you can imagine it, we can create it! We have a variety of design options including custom minting and background textures. 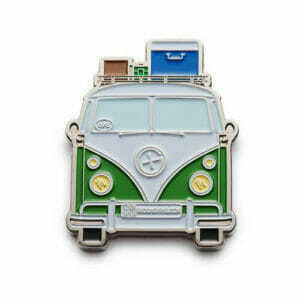 Geocaching geocoins and pins are often categorized as “hitchhikers” because they characteristically travel from one cache to another. They are also often engraved with a tracking number, making it possible for their travels to be logged and followed online. Geocaching is fun! We enjoy it so much, several of us here have joined in these adventurous pursuits. Because we’re geocachers ourselves, we understand the activity and we know what makes a great geocoin. That’s why we make geocaching coins for sale. Can You Engrave Custom Geocaching Coins? 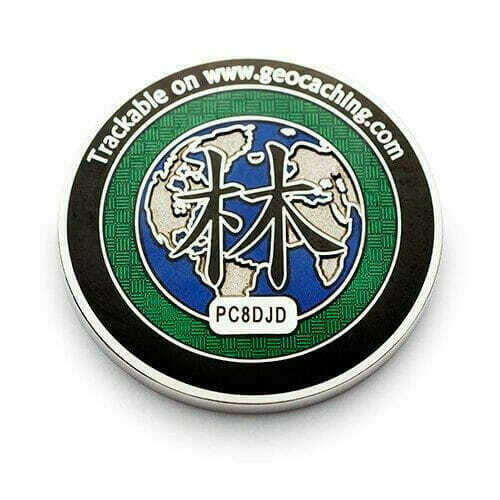 Yes, we can engrave geocaching geocoins for our customers. We even offer free engraving with orders of 150 pieces or more. Trackable codes can also be engraved. There is a 150-coin minimum and the cost per tracking number is $1.50. We will handle the purchase and engraving of personalized geocoins for you. You can activate your trackable coins here. 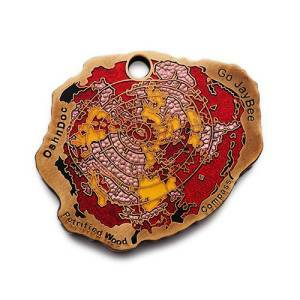 Trackable codes have two prefixes; PC (personal geocoins) and EV (geocoins for an event). For all you geocachers out there, here are a few tips to maintaining proper geocaching etiquette: If you take something, leave something of equal or greater value and record your visit in the logbook. While a variety of “treasures” can be found in any given cache (ranging from small trinkets like lapel pins to CDs or books), one of the most popular is geocaching coins and geocoin pins. There are several factors to consider when you order a geocaching geocoin. We’re here to help you every step of the way. Below are answers to commonly asked questions about coin making. We can answer all of your questions about ordering, making and shipping personalized geocoins. How Much Time Does it Take to Get Custom Geocoins Made? Production time varies depending on the style of coin you choose. It normally takes between two to three weeks. Rush jobs can usually be accommodated for an additional charge. All orders are shipped via FedEx air service which decreases shipping time. How Do You Track A Coin? 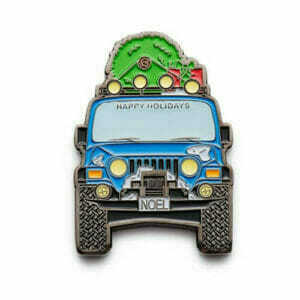 The Monterey Company ensures all trackable geocaching coins are family friendly and approved by Geocaching.com. When you create your personalized geocoins with The Monterey Company we’ll handle the registration and approval process so you’re geocoins will be guaranteed to be trackable. We can help provide all the art design and registering trackable numbers. You can choose a completely new and unique design or you can customize a pre-existing idea. Our experienced staff can give you suggestions on how to enhance or modify your design and we’ll make sure that your model is perfectly suited for production.